We aren’t having the best luck when it comes to picking out paint samples and then envisioning the color across an entire room. 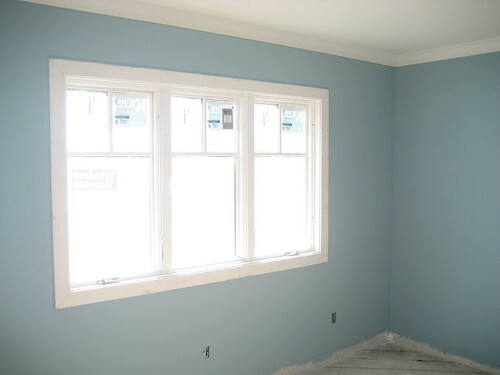 We picked a color called Blue Denim for our master bedroom and bathroom. The little sample made it look really nice and much, much lighter than this. This is what we ended up with. Yuck. We’ll have to get it changed in the next day or so. Below is my office, we’d love it a bit lighter than this even. Finally, it’s not orange, it’s calypso. Our laundry room. We felt that if you have to do something as mundane as laundry, might as well have a great color for it. Oh!!!! 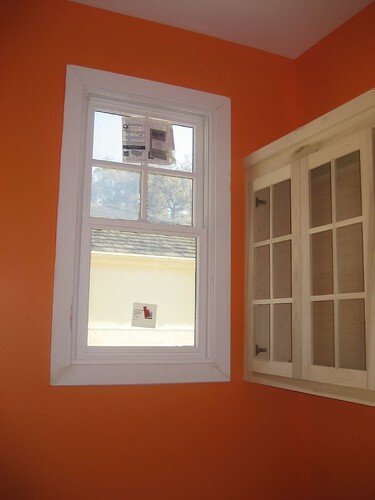 Now I think I need to paint my laundry room orange. I’ve been feeling the need for a room with a really WOW color, and this might be the ticket. Monitors don’t show color well, but I think I have to agree with you about that first blue. The blue in the office is very nice though. 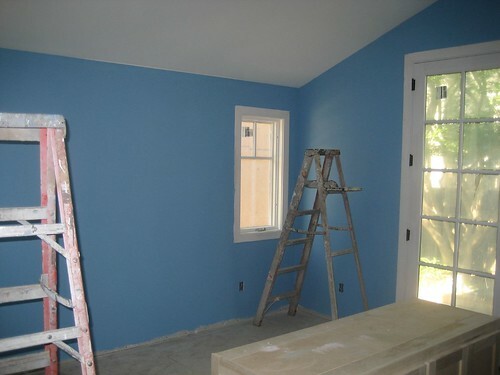 Having just painted most of our own home, it is a very difficult thing to do….picking out colors. I have been fortunate to have done very well. I love the office color…very serene. One tip for the Calypso in the Laundry room…since this is a room where detergents and bleach are used, be extremely careful not to have any little drops fly onto that wall color…it will discolor quite quickly. And it will look like someone came in with an eraser and erased little spots on the paint. Yes, this has happened to me that’s why my laundry room is now white. And by the way, I LOVED the first house color…very Chester Countyish. Best wishes with the rest of the painting. I love the first blue, the one you didn’t like.